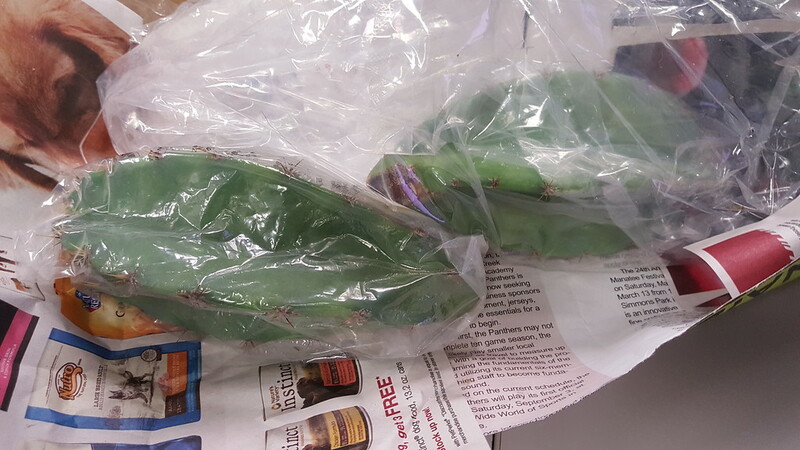 Peruvian Apple Cactus: The alternative to the dragon gangly fruit. 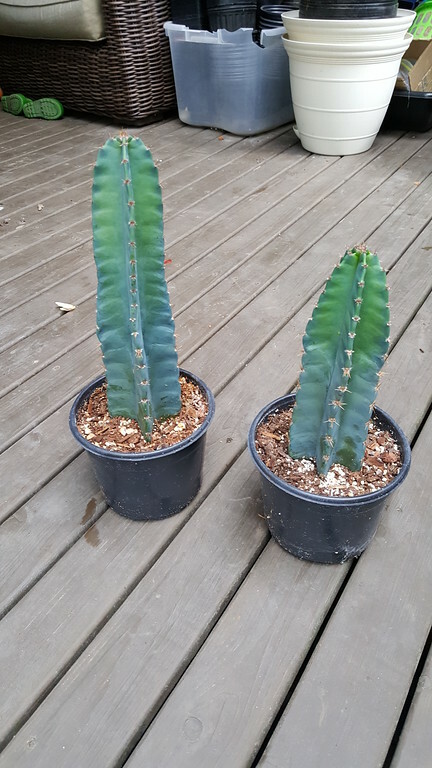 Cereus Repandus . With an often tree-like appearance, the Peruvian Apple Cactus' cylindrical gray-green to blue stems can reach 10 meters (33 ft) in height and 10-20 cm in diameter. The nocturnal flowers remain open for only one night. The fruits, known locally as "pitaya" or Peruvian Apple, are thornless and vary in skin color from violet-red to yellow. The edible flesh is white and contains small, edible, crunchy seeds, the flesh sweetens as the fruit opens out fully. Cereus repandus is an unresearched, under-utilized cactus, grown mostly as an ornamental plant. As noted above, it has some local culinary importance. The Wayuu from the La Guajira Peninsula of Colombia and Venezuela use the inner cane-like wood of kayush in wattle and daub construction. It's no secret I love tropical fruit. Especially dragon fruit. The problem is it grows as a viney cactus and can be unsightly and mangy. The Peruvian Apple cactus has the same taste and consistency as the Dragon fruit but it grows as a column and can be grown indoors or in a green house in the colder areas. It's also more ideal in smaller spaces and doesn't look as scraggly as the dragon fruit plant.